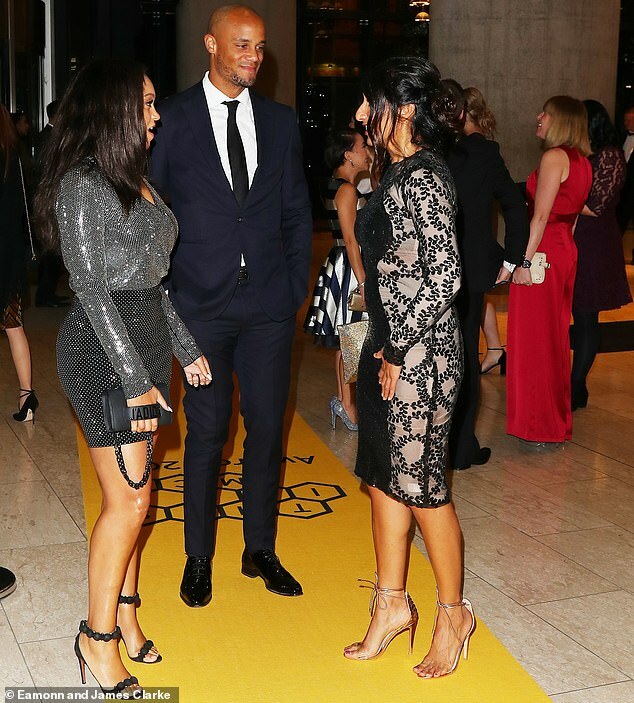 Vincent Kompany and Ilkay Gundogan swapped football shirts for tailored suits on Thursday night as they dressed to impress at the swanky This is Manchester Awards ceremony. The Manchester City duo were joined by a host of the city’s biggest personalities as well as former team-mate Joleon Lescott at The Hilton Hotel, where awards were dished out for everything from best restaurant to leading sports venue. Kompany and Gundogan would have been delighted to discover that their very own Etihad Stadium won the latter category, fending off the challenge from Lancashire Cricket Ground, which is otherwise known as Emirates Old Trafford. They were the perfect duo to accept the award after helping Manchester City to a record-breaking 100 points in the Premier League last season, bringing the title to the 55,000-seat arena for the third time in seven seasons. Kompany, who has captained Manchester City since 2011, arrived with his wife Carla, a native Mancunian herself. Gundogan appeared to be unaccompanied but would have found a friendly face in his team-mate. Lescott would have also been a familiar figure to many Citizens fans. The former England international spent five years with Manchester City and was part of two of their title-winning squads between 2009 and 2014. His career after Manchester City tailed off somewhat with uninspiring spells as West Brom, Aston Villa and AEK Athens. He retired in 2017 following a six-month spell with Sunderland in which he made just two league appearances. 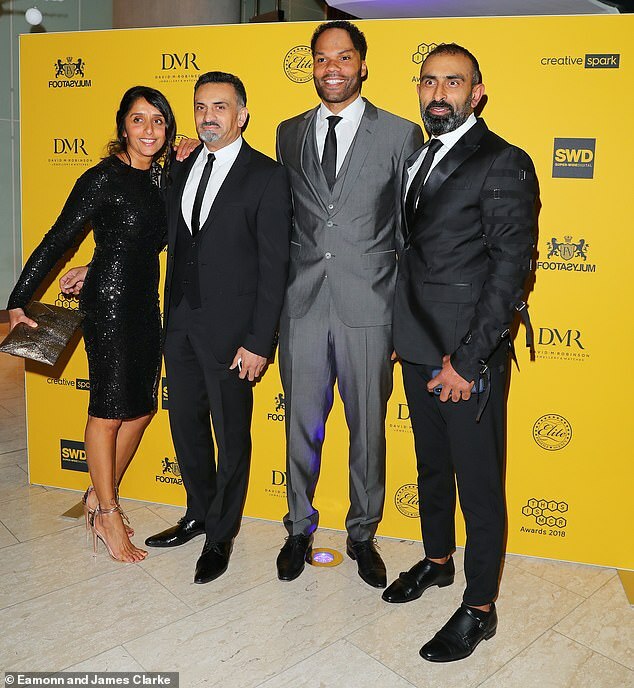 Lescott appears to be enjoying life after football, however, and sported a wide smile as he posed with the event’s organisers. In other football-related news, Manchester United’s Class of 92 would have been pleased to hear that their Hotel Football won Hotel of the Year at the awards. They beat The Lowry, where United manager Jose Mourinho has been in residence since taking charge in 2016, among others. Co-created by Gary Neville and Ryan Giggs, the hotel is situated directly outside Old Trafford and recently made headlines after Manchester United considered making it a base for players before home games after problems with traffic.